It’s that time of year again when the sun is peaking out, temperatures are creeping higher and we’re all looking forward to the occasional afternoon (day, or days!) off to enjoy our favorite warm-weather destinations and activities. In many corporate settings, a great round of golf can be just what the doctor ordered to solidify new relationships or to rekindle ones from our past, as well as to encourage teamwork and camaraderie within teams from the office. This week, we’re highlighting some great courses in the tri-state region that also offer some fabulous amenities for your group, such as meeting space or fine dining. Whatever your needs, Hello Productions’ team is skilled at organizing golf outings, retreats and events of all sizes, so don’t hesitate to contact us with your company’s event request today! In Western Pennsylvania, one would be hard-pressed to find a more beautiful, luxurious or versatile golf and meeting destination than at Nemacolin Woodlands. Nemacolin is a family and luxury vacation destination situated on 3,000 wooded acres in the Laurel Highlands, perfect for a one-day meeting and outing or a weekend full of great events. Located just seventy miles southeast of Pittsburgh, Nemacolin is consistently recognized in the travel and hospitality industry for its superior service, championship golf courses, internationally acclaimed Woodlands Spa, fine dining and as a meeting destination. Accommodations range from their AAA Five Diamond Falling Rock hotel to comfortable townhomes for entire families. With activities galore, there is something for everyone at Nemacolin Woodlands Resort, no matter your age! As one of America’s Top 100 Public Golf Courses You Can Play, and ranked #1 in the the state of Ohio by Golf Week, you really can’t go wrong choosing Longaberger for your next outing. 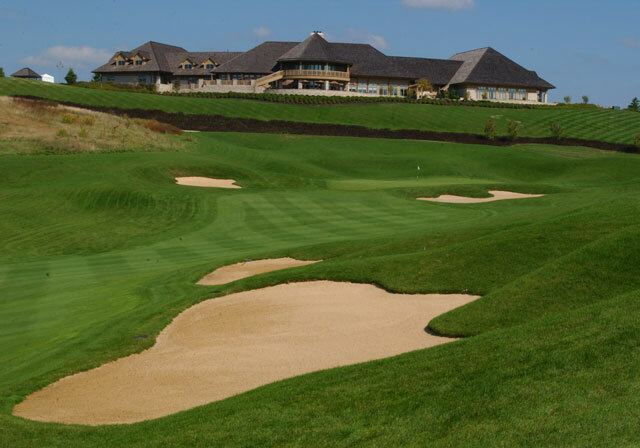 The course was designed by Arthur Hills in 1999, and is defined by panoramic views, rolling hills and “immaculate playing conditions.” It was also the first public course in Ohio to achieve certification by the Audobon International Signature Program, and is a Certified Signature Sanctuary as of April 2001. The fine golf course is complimented by an extraordinary clubhouse with numerous amenities to accommodate your event. They also feature full-service banquet facilities and meeting packages. Treat your golfers to a first class, fun and enjoyable golf experience at – one that will likely not be matched and that they will surely remember for years to come. If outstanding service and superior resort meeting space are on your criteria list for selecting a conference center resort, West Virginia’s Resort at Glade Springs is your best choice for meetings, conferences, incentive trips and golf retreats. The Resort at Glade Springs offers an all-in-one one destination that is easily accessible, has infinite possibilities for conference setups, and caters to the specialized needs of groups. Your first meeting at The Resort will become a tradition of meeting excellence, repeated again and again. Their three championship golf courses – the Cobb Course, the Stonehaven Course, and the Woodhaven Course – are among the best in the state and offer some great challenges for players of all skill levels. 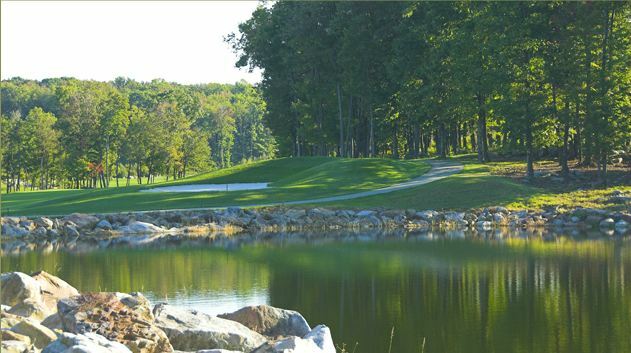 The manicured golf courses of Glade Springs have been visited by numerous golfing greats over the years, and a number of tournaments, including the West Virginia Open, the NCAA National Championships, and the U.S. Open qualifier, have been hosted on these greens as well. New to Glade Springs are the qualifying rounds for The Greenbrier Classic, a PGA TOUR and FedEx Cup event to be held at Glade’s sister resort The Greenbrier for the foreseeable future. Check us out today!